A Naxal or Naxalite is a member of any political organisation that claims the legacy of the Communist Party of India (Marxist-Leninist), founded in Calcutta in 1969. Communist Party of India (Maoist) is the largest existing political group in that lineage today in India. The Communist Party of India (Maoist) is a Maoist communist party in India which aims to overthrow the government of India through people's war. It was founded on 21 September 2004, through the merger of the Communist Party of India (Marxist–Leninist) People's War, and the Maoist Communist Centre of India (MCCI). The merger was announced on 14 October the same year. In the merger a provisional central committee was constituted, with the erstwhile People's War Group leader Muppala Lakshmana Rao, alias "Ganapathi", as general secretary. 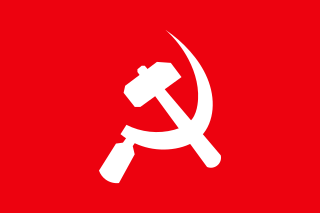 Further, on May Day 2014, the Communist Party of India (Marxist–Leninist) Naxalbari merged into the CPI (Maoist). The CPI (Maoist) are often referred to as the intellectuals in reference to the Naxalbari insurrection conducted by radical Maoists in West Bengal in 1967. CPI(Maoist) is designated as a terrorist organisation in India under Unlawful Activities (Prevention) Act. Dantewada District, also known as Dantewara District or Dakshin Bastar District, is a district in the Indian state of Chhattisgarh. Dantewada is the district headquarters. The district is part of Bastar Division. Until 1998, the Dantewada District was a tehsil of the larger Bastar District. Mahendra Karma was an Indian political leader belonging to Indian National Congress from Chhattisgarh state. He was the leader of the opposition in the Chhattisgarh Vidhan Sabha from 2004 to 2008. In 2005, he played a top role in organising the Salwa Judum movement against Naxalites, a Maoist group in Chhattisgarh. He was a Minister of Industry and Commerce in the Ajit Jogi cabinet since the state formation in 2000 to 2004. He was assassinated by Naxalites on 25 May 2013 in a Maoist attack while returning from a Parivartan Rally meeting organised by his party in Sukma. Salwa Judum was a militia that was mobilised and deployed as part of anti-insurgency operations in Chhattisgarh, India, aimed at countering Naxalite violence in the region. The militia, consisting of local tribal youth, received support and training from the Chhattisgarh state government. It has been outlawed and banned by a Supreme Court court order, but continues to exist in the form of Armed Auxiliary Forces, District Reserve Group and other vigilante groups. Nand Kumar Patel was an Indian National Congress politician from the province of Chhattisgarh. He was elected to the Kharsia Assembly Constituency five times in a row. The Naxalite–Maoist insurgency is an ongoing conflict between Maoist groups known as Naxalites or Naxals and the Indian government. The conflict in its present form began after the 2004 formation of the Communist Party of India (Maoist) (CPI-Maoists), a rebel group composed of the People's War Group (PWG) and the Maoist Communist Centre (MCC). In January 2005, talks between the Andhra Pradesh state government and the CPI-Maoists broke down and the rebels accused authorities of not addressing their demands for a written truce, release of prisoners and redistribution of land. The ongoing conflict has taken place over a vast territory with hundreds of people being killed annually in clashes between the CPI-Maoists and the government every year since 2005. However, it is now confined to only few districts of Chhattisgarh, Andhra Pradesh, Telangana and Maharashtra. The April 2010 Dantewada Maoist attack was an 6 April 2010 ambush by Naxalite-Maoist insurgents from the Communist Party of India (Maoist) near Chintalnar village in Dantewada district, Chhattisgarh, India, leading to the killing of 76 CRPF policemen and 8 Maoists — the deadliest attack by the Maoists on Indian security forces. The 2010 Dantewada bus bombing occurred on 17 May 2010 when a bus hit a landmine 50 km away from Dantewada, in Chhattisgarh's Dantewada district. Fatalities reports range from 31 to 44, including several Special Police Officers (SPOs) and civilians. Manoj Pradhan is an Indian politician from the Bharatiya Janata Party, who was convicted of murder in January 2010. He was elected from the G. Udayagiri assembly constituency from the state of Orissa. He has been convicted in two cases of murder during the Kandhamal riots of 2008, in which 38 people were killed and more than 25,000 Christians were displaced. During the swearing-in of the state assembly, Pradhan was in jail but was given 15 days bail so he could participate. Kartam Joga is an adivasi Indian political activist of the banned Communist Party of India (Maoist). He was imprisoned in Chhattisgarh on suspicion of participating in the Tarmetla ambush in which 75 members of the Central Reserve Police Force were killed by CPI (Maoist) forces. Amnesty International named him a prisoner of conscience and described the charges against him as "fabricated". He was acquitted at his trial for lack of evidence. Soni Sori is an Adivasi school teacher turned political leader of Aam Aadmi Party in Sameli village of Dantewada in south Bastar, Chhattisgarh, India. She was arrested by the Delhi Police's Crime Branch for Chhattisgarh Police in 2011 on charges of acting as a conduit for Maoists. During her imprisonment, she was tortured and sexually assaulted by Chhattisgarh state police. By April 2013, the Indian Courts had acquitted her in six of the eight cases filed against her due to lack of evidence. After release from prison, Sori began campaigning for the rights of those caught up in the conflict between Maoist insurgents and the government, in particular criticising police violence against tribespeople in the region. Kawasi Lakhma is MLA from Chhattisgarh, India and was one of the survivors of 2013 Naxal attack in Darbha valley. His name was widely discussed as his own party men expressed doubt about his integrity and questioned his role in the naxal attack. When other Congress leaders were shot dead in the attack, Kawasi Lakhma was spared and this has raised doubts. The People's Liberation Guerrilla Army (PLGA) is the armed wing of the Communist Party of India (Maoist), a banned organisation in India which aims to overthrow the government of India through people's war. Rajasthan Legislative Assembly elections, 2013 was held in Indian state of Rajasthan on 1 December 2013. Results were announced on 8 December. The incumbent ruling party Indian National Congress, led by the Chief Minister Ashok Gehlot, lost the elections to Vasundhara Raje-led BJP, who was being touted as the next incumbent. Thakur Raja Singh Lodh is a member of the Telangana Legislative Assembly representing the Goshamahal assembly constituency in Hyderabad. He is a member of the Bharatiya Janta Party, and also occupies the position of party whip for Telangana. He has been booked by police in several cases including for delivering a hate speech and attacking a police constable while discharging his duty. Nirbhay Pal Sharma was an Indian politician and member of the 09th, 12th and the 13th Legislative Assembly of Uttar Pradesh of India. Sharma represented the Sarsawa constituency of Uttar Pradesh and was a member of the BJP political party. Sharma was murdered on 5 November 2000 at his residence in Saharanpur. The 2018 Chhattisgarh Legislative Assembly election was held to elect members to the Legislative Assembly of the Indian State of Chhattisgarh. The election was held in two phases for a total of 90 seats; the first for 18 seats in South Chhattisgarh was held on 12 November 2018, and the second for the remaining 72 were held on 20 November. The Sukma attack was an ambush carried out by the Communist Party of India (Maoist) against Indian paramilitary forces on 24 April 2017, during the Naxalite-Maoist insurgency. It was the largest ambush since a similar attack in 2010, in the neighbouring district of Dantewada. ↑ "Newly elected C'garh Assembly members administered oath". The Pioneer . ↑ "Dantewara Assembly constituency (Chhattisgarh): Full details, live and past results". News18. ↑ "BJP convoy attacked by Naxals in Dantewada, MLA, four others killed". The Indian Express. 9 April 2019. ↑ "Chhattisgarh: BJP MLA Bhima Mandavi, five security personnel killed in Maoist attack in Bastar". The Times of India.